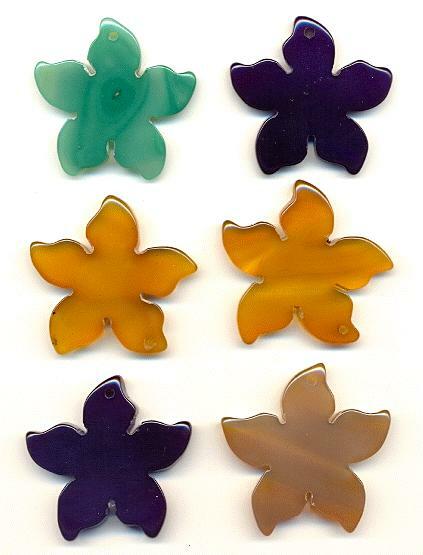 The price listed is for this entire lot of mixed flower pendants. There are a total of 6 pieces. These appear to be made out of dyed agate stone. They range in size from approximately 45mm to 48mm. Each pendant is about 6mm thick. They have a 2mm hole drilled through the top of the pendant. The colors included are two pruple, one green, two orange, and one light brown. These are carved stone so each pendant varies slightly in size and shape.